For the last six years, Good Friday has been the date for the biggest football match in the area and it really is a spectacle to behold. 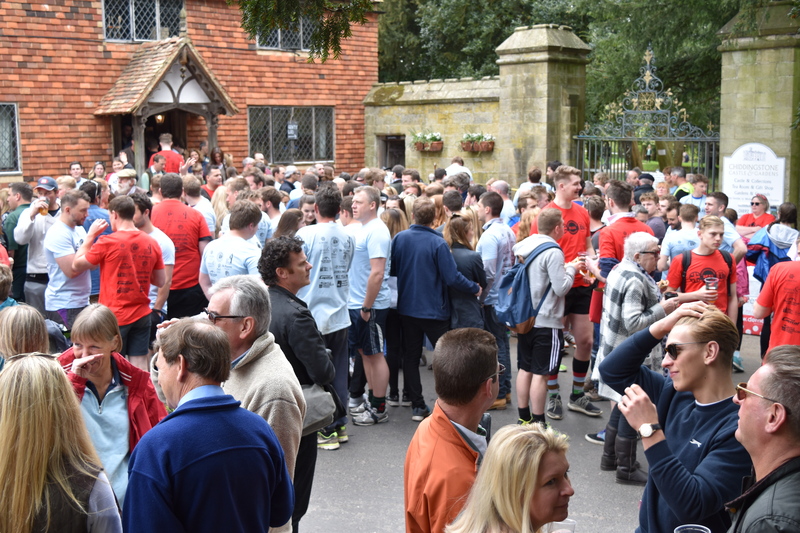 The Chiddingstone Real Football match comprises of two teams of at least 100 players with goals over 1 mile apart, one outside The Castle Inn and the other outside The Rock. The game is a mixture of football and rugby and players compete over the fields, rivers and through woodland to reach the goals, without going over any boundaries. It’s not for the faint hearted either as it is a full contact sport. Although there are other Real Football matches which take place across the UK, this is the most southern event and draws huge crowds into the area. The game begins when the ball is dropped into the starting field by a big digger and then the real mayhem begins. After each match, the venue alternates for the live music and entertainment and this year you will find all the action outside The Castle Inn. All the fun starts at 2pm but you’ll find revellers arriving long before kick off for some pre-match fun and drinks. It certainly is a memorable afternoon and evening out. To find out more about the event, visit the website www.chiddingstonerealfootball.co.uk or keep up to date via the official Facebook page @ChiddRealFootball.